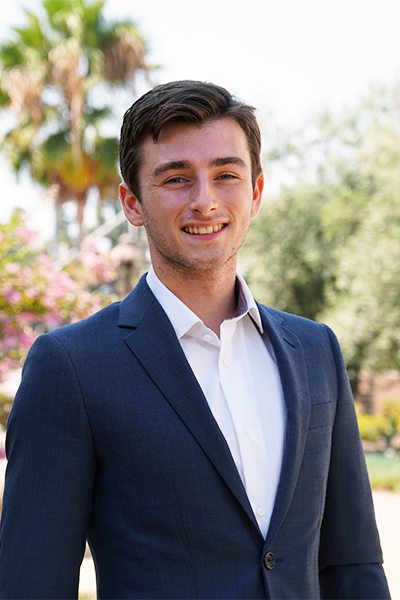 Patrick is Computer Science and Finance major at the University of San Diego. He was recruited to play on USD’s NCAA Division 1 tennis program. During his time on the team, the Torero’s were two-time West Coast Conference regular season champions and post season champions, and also reached the second round of the NCAA tournament twice. Patrick has been named to the WCC Commissioner’s Honor Roll as well as the Questrom School of Business’ Dean’s List for the semester he completed at Boston University. He started his investment career by trading his own funds in equities and options, and started with UGF in September of 2016. Patrick has a particular interest in commercial applications of narrow AI. In addition, he believes that industries that are and were previously capital-intensive will become far less so. As the majority of intra-planet transportation becomes electric, there will be opportunities for lightweight and agile companies to capitalize on this transition. Patrick played tennis competitively for 10 years, and won a gold medal at the Canada Games. He is an avid skier and cites Blackcomb as his favorite mountain.